Overall, the benefits of NABCEP certifications are to the industries they serve. 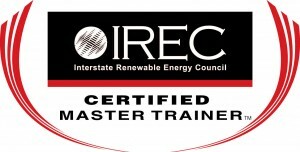 The North American Board of Certified Energy Practitioners (NABCEP) was founded in 2002 as a 501(c)(6) non-profit organization with the stated goal to develop voluntary national credentialing programs that will promote renewable energy, provide value to practitioners, promote worker safety and skill, and consumer confidence in the industry. But how does certification help your career? Consumers need to be confident of their choices. Consumers at all levels need to know as much as possible about the products they purchase. However, it’s next to impossible to know all that is necessary to make the best choice, so they depend on third-party grading and rating systems to help make decisions. This works out very well for the consumer if the grading/rating organization is doing the hard work of vetting the products and services provided, like NABCEP. But it also works out very well for the product/service provider. This is especially true when it comes to certifications held by installation contractors. A certified installer’s high standards and achievements stand out so the consumer can see there is a quality difference with minimal research. NABCEP has done a great job of serving the solar industry by providing this credentialing and certification process and standard. They now offer several levels of credentials and certification. The entry level NABCEP certification is the Associate Credential; the requirement to sit for this exam is to complete a solar PV course from a NABCEP approved training provider and then pay the registration fee through that provider. Achieving this NABCEP Credential provides the holder with more visibility in the industry to employers and potential customers. The credential holder’s name is placed on the NABCEP web page under NABCEP Associate Directory. The highest level of certification is the NABCEP Certified PV Installation Professional. The minimum education requirements to sit for the exam are 58 hours of solar training with 40 of those hours being advanced level, solar PV specific, provided by an accredited school. A minimum 10-hour OSHA card is also required. Verifiable experience in PV design or installation is also required to sit for the exam. The value of this certification has many benefits in the solar industry and is often required by entities such as utilities or governments. Many developers will specify and require that the solar contractor must have this level of certification. Showing potential customers that you are a certified solar contractor will give you the advantage over a contractor who is not certified. The certification holder’s name is placed on the NABCEP web page under Certified Locator. For professional sales people, the achievement is the NABCEP PV Technical Sales Certification. The education requirement varies widely from 0 to 60 hours of solar training depending on the person’s background. However, it would be a good idea to take some training courses to prepare for the exam. The first person a customer meets is usually the sales representative; if the sales person is certified, it provides the customer with confidence and an element of trust, elements that are an essential part of winning an installation contract. NABCEP now has three Specialist Certifications: PV Installer Specialist, PV Design Specialist and PV Commissioning and Maintenance Specialist. Each of these require 24 hours of advanced training from an accredited school. Verifiable experience in each of these specialist categories is also required to sit for the exam. A minimum 10-hour OSHA card is also required. Each of these certifications is focused on the individual’s specific area of expertise. The greatest value to the individual holding the specialist certification is companies who employee certified specialists gain a level confidence with this individual and it also improves the company image to the potential customer. Another level of certification is directed to building inspectors. Many of the building inspections are now contracted to professional inspectors. These inspectors are usually certified in as many fields of building construction as possible. The NABCEP Certified PV Inspector certification provides these inspectors with this credential that indicates they possess a sufficient level of knowledge and expertise with PV system inspection requirements. No training or experience is required to sit for this exam. However, it is highly recommended to sufficiently educate yourself prior to registering for the exam; it requires extensive knowledge of the IBC, NEC and PV system design. Certifications are key to any industry’s growth and success. The solar industry is still young and it cannot afford failures due to poor quality installations. One effective way to guard against these failures is to support industry certifications. NABCEP has done a great job of providing their widely accepted certification program to many from different backgrounds. 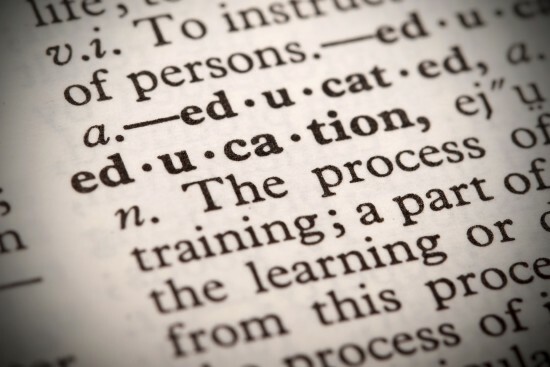 When you become certified at any level, you enhance your opportunities for personal success, you help raise the standards of the industry and you help provide consumers with the ability to make smart choices. Solairgen PV specific training programs are NABCEP approved and IREC accredited solar PV training programs, designed in support of industry certification and professional excellence. The solar workforce in the U.S. has grown by over 160% since 2010 for a little over 93,000 to well over 250,000. 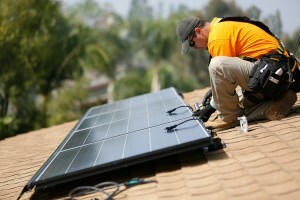 Solar accounts for less than 2% of all electrical energy generation in the U.S. However, the solar industry employs twice as many workers as the coal industry, almost five times as many as nuclear power, and about the same number as the natural gas industry. The largest sector of jobs is in installation of the PV equipment and systems at 51%. The second largest sector is in manufacturing of equipment and materials at 16%. Project development is third at 14%, sales and distribution is fourth at 12%, and the remaining jobs are in various sectors at 7%. These figures indicate that the best job opportunities will be in the installation sector and that would be correct. This will require a certain amount of training to make yourself attractive to an employer and the solar industry in general. The most difficult positions for employers to fill are, (1) Sales Professionals, (2) Electricians and (3) Installers. If it is possible to get retrained to fill the roll of one of these professional groups, your prospects for employment are very good. An understanding of IP and computer communication are necessary skills since all solar electronic equipment is now built to communicate within its own network and with the internet. A proficient understanding of computer programs and the ability to bridge computational and drawing programs with DOE and Google type programs is essential to most solar companies. Writing and editing skills are always necessary when communication with other people and groups is common; this is an undervalued skill that can can make a big difference in the success of a company. The best way to get into this industry as an employee or as a contractor is to first look at the skills you now possess and see where you would fit in. The next step is to get enough training with solar sales and design to get you started and continue training as you move up the ladder to success. There is no argument that the only constant in the world seems to be change. This is even truer for the solar industry as changes in the solar market happen fast. The only constant appears to be the solar resource itself, our sun. Training courses must be updated regularly to meet those industry changes and to prepare students who are either just entering the solar business or professionals who are currently working in it. Solairgen is constantly editing its courses for these changes. When necessary, we’ve been known to completely rewrite courses to address industry changes due to product innovations, code changes, regulated utility interconnection requirements, and rapid industry growth. Recently we added a NABCEP Associate Credential exam prep course to follow our PV201 Introduction to PV Design and Installation online course. PV301 is free to our PV201 students and costs just $185 for anyone who has not taken PV201, but has met the training prerequisite to sit for the Associate Credential exam but needs exam prep study material. Our online PV202 course now focuses on the technical design aspects of residential, commercial and energy storage systems. It is the next step for designers and installers after completing PV201. We have introduced a new course, PV210 PV Sales and Cost Analysis that focuses on training students to focus on the marketing aspects of solar: identifying the solar customer and their energy needs, system costs and financing methods, the value of the investment, environmental impacts and proposal writing. The advanced training workshop and advanced online series have been updated to address new solar products and changes to the NEC codes. These courses include PV221 PV System and the NEC, PV222 Interactive PV System Configuration, PV223 PV Maintenance and Troubleshooting and PV224 Energy Storage PV System Configuration. Solar is growing faster than any other energy industry so change means growth, and we believe you will enjoy being a part of it. The changes happening today are exciting innovations that make the solar industry stronger and our training produces strong professionals in the field. Is everyone a potential solar PV customer?